With the backing of the Musicians’ Union, the claimants contended that this termination of their contracts with the move to recorded music would be in breach of the collective agreement between the Society of London Theatres and the MU. The new cast of the production had rehearsed at all times without musicians and had no experience of a production with live music. But the contract between the musicians did not cover what the National Theatre was purporting to do. There has never been a case where a producer under this collective agreement has terminated a musician’s contract, without the musician’s agreement, for any reason other than illness or old age, disciplinary action or the closure of the production. The National Theatre argued that since it had abandoned its orchestra for the play, the claimants’ engagement was at an end, since the NT had the right to terminate which was implicit in the purpose of the engagement or on the basis that the contract was discharged by performance. The difficulty with this submission, Cranston J pointed out, was that it enabled the National Theatre to “abolish its orchestra overnight” to avoid the specific provisions of termination by notice set out in the claimants’ contracts. But the NT contended that it was not a commercial sensible outcome that the claimants should have a continuing right to be paid in circumstances where there was no longer any need for an orchestra and so no longer a part for them to contribute to the play. However, neither this, nor the arguments based on implied terms of the contract, was enough to convince the judge that the plain words of the contract should be overridden. There was, in his view, a serious issue to be tried on the question of whether the NT was contractually entitled to terminate their contracts in the way they did. However, the remedy the musicians sought in this application was not available to them. They were seeking, in effect, an order for specific performance, or a negative injunction preventing the NT from breaching the contracts. The practical effect of both would be to require their reengagement. as a rule of thumb that a court will not order specific performance of a contract calling for personal service where trust and confidence has broken down, a continued relationship is unworkable for some other reason, or constant supervision by the court might be required. The musicians sought to overcome this traditional reluctance by pointing out that there had been no criticism of their professional integrity or honesty; that continuing to perform with the cast needed no more radical adjustment than a few more rehearsals to get the cast used to working with musicians, and that there could be no issue of continuous supervision by the court since the parties have operated under these contracts for more than 5 years and done so without any difficulty. Loss of confidence is fact specific. 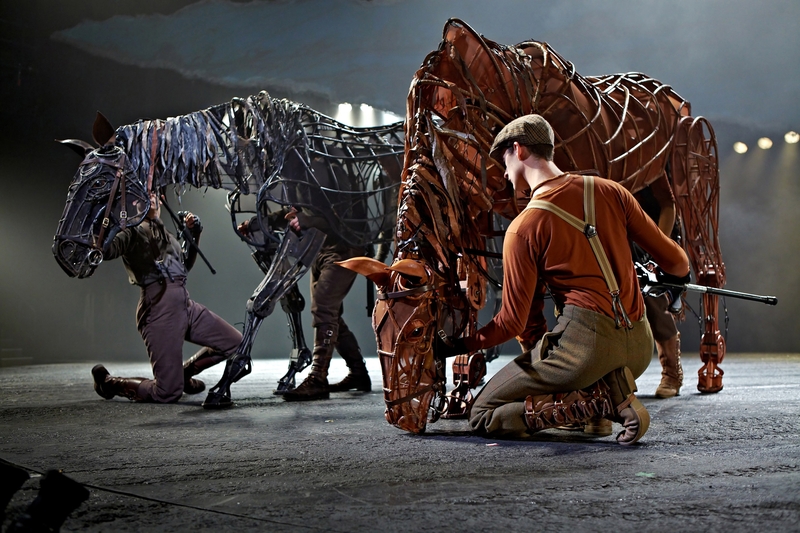 A role in War Horse is miles away from the impersonal organisation referred to by Lord Wilson in Geys v Société Générale 1 A.C. 523 and from the situation in Powell v Brent LBC  ICR 176, where the employee had been performing the superior role, and had the confidence of her superior. The plain fact is that the production of a play necessarily entails close cooperation between all those involved, the actors and those directing and producing the play. In the judge’s view, the claimants’ prospects at trial for breach of contract by the National Theatre were strong, but that an award of damages to them at trial would be adequate compensation. They had not persuaded him of the case to order interim relief pending trial, to reinstate a live band in the production of War Horse and to engage each of them as part of it. As far as the claim under Article 10 was concerned, the right to artistic expression had to be considered in relation to the defendants as well. Significant in the balance against interim relief was the interference with artistic expression in requiring the National Theatre to reintegrate a band into the production. Sections 12(1) and 12(4) of the Human Rights Act 1998 required the judge to have particular regard to this aspect of the relief sought by the claimants. The National Theatre’s artistic judgment was that a live band did not provide the “same quality and impact of performance as can be produced through the use of recorded music and professional actors.” It is sad that those responsible for the continuing performances of this tremendous play have seen fit to decide, on the audience’s behalf, that live musicians cannot contribute positively to the play and that the play is better off without them. But theatres, like anyone else, have profit margins to attend to and it is obvious that War Horse, an expensive play to cast with its 36 actors and, until recently, the five claimant musicians. The move to recorded music only has no doubt produced financial benefits for the defendants. Saving money? it would probably cost the NT about 13 seats per show to pay all the musicians. The New London Theatre capacity is just over 1,000. They have a contract with the musicians and should honour this. What is a contract signed for at the end of the day if it is not honoured by management? By that logic it would surely be better to show the film but still charge £62.50 a ticket. This is an absolute disgrace. How come it took them years to realise it’d be better with recorded music? Where was the creative judgment in those years? You could be forgiven for thinking the producers have an ulterior motive, but if both the co-director and composer have also concluded – for reasons of accuracy and impact on the audience – that it's in the audience's best interests, why are you not trusting their creative judgement?